Edventi’s Course is designed to engage students and empower them to better understand the complexities of current culture, commercial drug products and addiction. In 5 - 6 class periods students participate in dialog, research and assessment to critically investigate the science of drug use and the risks to the developing brain, while analyzing environmental influences that downplay harms and promote drug use behavior (drug and media literacy). Specifically designed to quickly change students' perspectives on substance use, the course can be used as a standalone, or can easily be integrated into more extensive programming to drive engagement and increase impact. The print program with DVD ships with a full teacher's guide, student worksheets and all the Edventi videos and media material that are part of the curriculum. The digital version integrates all media and materials in with best practice methodology to deliver social, teacher-guided learning experiences powered by the Exploros classroom platform. Edventi is working with the Rotarian Action Group on Addiction Prevention to help Rotary Clubs and Districts assist in community addiction prevention efforts. 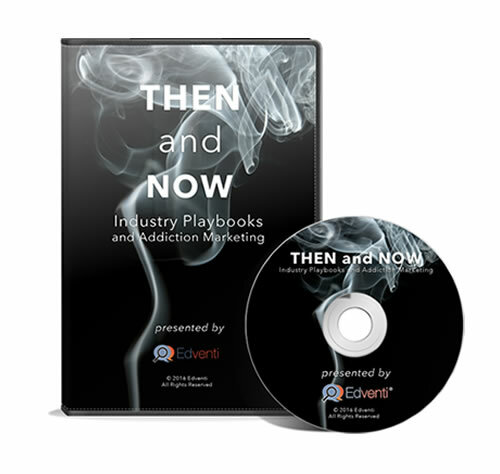 The toolkit contains all the materials necessary to host impactful educational seminars to quickly elevate awareness of the harms of drugs and alcohol, and the often unseen driving forces of addiction. One such force is the brain chemistry of addiction, where the latest science demonstrates the heightened risk of addiction for our youth. Edventi accepts most major credit cards: Visa, MasterCard, American Express and Discover. We offer customers the ability to place a credit card order online or phone in their credit card orders. If you would like to place your order over the phone, please email us to set up a time to do so. When you place an order with Edventi, you will receive an e-mail confirmation within 24 hours letting you know that we received your order. If you receive a damaged product, contact us immediately and we will work with you to replace it.